Few films can claim to be the driving force of a cinematic movement. 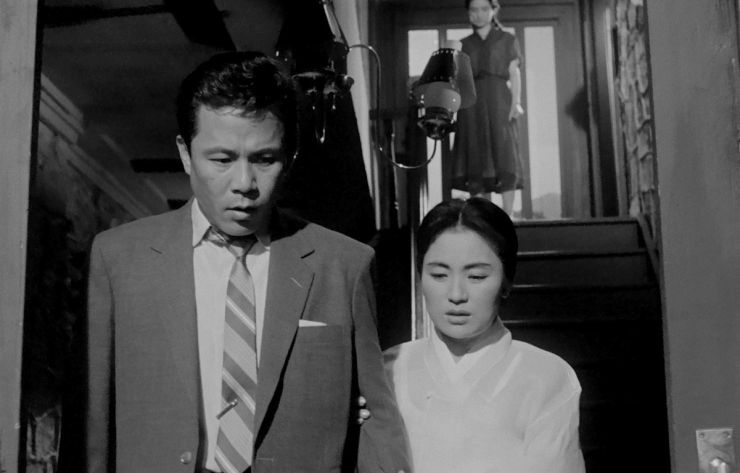 Orson Welles’ Citizen Kane (1941); Jean-Luc Goddard’s A Bout de Souffle (1960); and in Korea, Kim Ki-young’s (김기영) 1960 classic The Housemaid (하녀). The Housemaid is a simply incredible film that eloquently captures Korean society and culture on the brink of change, struggling with the traditional and the modern in ways both subtle and overt. The duality and oppositions within are portrayed through every shot, every frame, every protagonist, and yet despite the enormity of metaphors and allegories present the central story is a simple domestic affair that threatens to engulf everything. This in effect emphasizes the ambiguity of identity that has so plagued Korean history and culture through the various cultural, political and religious colonialist acts, in part coining the term ‘han’ – the sense of deep-rooted sadness and injustice – which also features in Kim Ki-young’s seminal tale. The Housemaid features piano teacher Dong-sik (동식, Kim Jin-kyu (김진규), a married man who is nonetheless highly admired by his all-female class. When student Miss Kwan writes Dong-sik a love letter, he is so appalled that the student is fired from her factory job and forced to return to her countryside hometown. Despite this, Dong-sik begins teaching the her best friend, Jo Kyeong-hee (조경희, Um Aing-ran (엄앵란), piano lessons at his middle-class home. His wife (동식 아내, Ju Jeung-ryu (주증녀) works from home as a seamstress and takes care of their son Chang-soon (창순, Ahn Seong-gi (안성기) and polio-suffering daughter, leaving little time to cook and clean. In need of a domestic help, Dong-sik asks Miss Jo for assistance who in turn recommends her friend to be their housemaid (하녀, Lee Eun-shim (이은심). Problems arise however when Miss Kwan, so humiliated by the scandal of rejection, commits suicide. In shock, Dong-shik returns home where the housemaid takes advantage of the situation to seduce him, sending the entire household into the depths of scandal. While the 1960s were a tumultuous period for a large number of cultures as left-wing ideology became increasingly more prevalent, the era was especially difficult for Korea. With the Korean War ending in a ceasefire only years prior and the following protests against dictatorship, Korea was struggling to find identity amongst the conflict between the traditional and the modern, the influx of Americana, the growing women’s rights movement, the gulf between social classes, and the drive to rebuild itself – all of which are present within The Housemaid. The film is somewhat of a male fantasy-turned-nightmare, where a successful happily married man is admired and sought after by young women, resisting temptation until he is virtually forced into adultery. The gender politics within The Housemaid are fascinating, presenting a huge shift in gender power as active and passive roles are reversed. The young women are all highly aware of their sexuality and power, and use them to achieve their goals; Miss Kwan takes the initiative in scribing a love letter for Dong-shik declaring her feelings, while Miss Jo regularly visits his house for personal one-on-one piano tutorials. Such lessons convey Dong-shik’s subconscious desire for Miss Jo as he continually touches her hands while playing, indicting him for his flirtatious manner. The housemaid keenly observes this behaviour, and manipulates the situation for herself by wearing wet clothing and seducing him with her uncovered skin. Dong-shik is consistently represented as a passive male, a victim of fate often ascribed to female roles, with the one instance of active fortitude in admitting his affair resulting in further passivity and his ultimate downfall, seemingly punished for his guilt and honesty. Yet despite the reversal, names are never ascribed to either the housemaid nor the wife as they are expected to merely perform the roles they inhabit, which the narrative wonderfully subverts as both women forcibly change the labels imposed upon them to varying degrees of success. Lee Eun-shim gives an absolutely masterful performance as the housemaid, akin to Glen Close’s Alex Forest from Fatal Attraction (1987) only 27 years prior and without the Hollywoodized set-pieces. 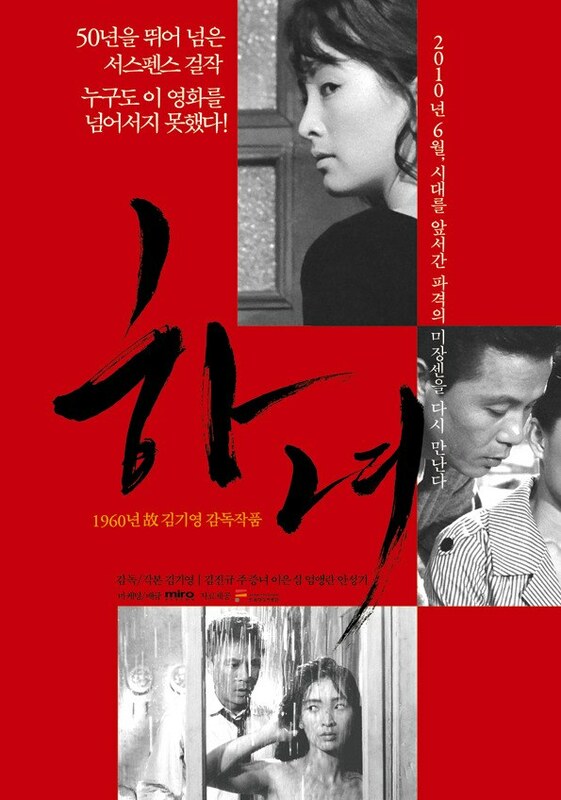 Lee Eun-shim’s performance was so enthralling and captivating that Korean audiences, in what must surely be the one of the biggest mis-readings of a film in cinematic history, despised her character so much that Lee Eun-shim was ultimately forced to never act again. Such a travesty is undoubtedly due to the fact that The Housemaid was vastly ahead of its time in depicting a strong female protagonist wronged by a successful man during a period when patriarchy was absolute, perhaps even militant, as the encroaching women’s rights movement began to surface in Korean culture. 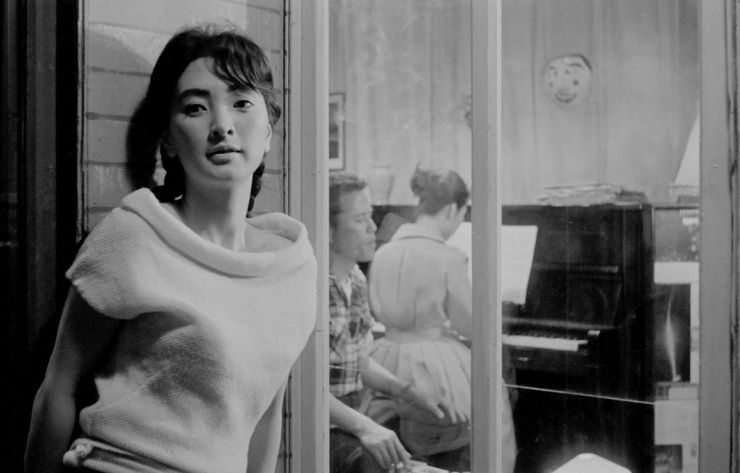 As the titular housemaid, Lee Eun-shim openly smokes, is unafraid of vermin and uses violence to dispatch them, is aware of her sexuality and powers of seduction, and crucially to the narrative she is highly aware of her entitlement after the affair has begun and the scandal should the information be made public. While she does indeed become psychotic she only does so as a result of the manipulation by middle-class Dong-shik and his wife, who abuse the young housemaid into a state of confused mental instability, actions for which the audience of the time never held them to account. Such an empowered representation in 1960 is an incredible achievement, and one that is impossible to understate. Dong-shik’s family are representative of a typical middle-class household, with their newly built two-story abode. The use of mise-en-scene within the house is sophisticated, with doors emphasising exclusivity and isolation while the stairs serve as a hub or nexus point between the traditional culture and roles on the lower level, and the modern ideology on the second floor. Dong-sik’s family occupy the lower arena, conveyed through his wife’s traditional hanbok clothing and her seamstress occupation, while the housemaid performs her duties. The wife’s dedication and purity are such that she even has the ability to foresee the future, albeit through metaphor. It is very much a patriarchal zone where Dong-shik is respected, and in his absence son Chang-soon arrogantly attempts to emulate the ideology through rudely barking orders at the housemaid. Upstairs however is a rather different domain in which roles are reversed, women are empowered, and Dong-shik’s subconscious desires are realised. In his study room he provides flirtatious piano lessons for Miss Jo, who actively sought his guidance. In the adjacent room is the housemaid’s quarters where he seduced, and later at the behest of his wife told to return. In contrast to the traditional billowy hanbok, the housemaid wears a tight black dress that attempts to convey her devious sexual empowerment, particularly in the final act when her mental instability becomes untenable. The stairs pose a unique challenge to Dong-shik’s polio-suffering daughter who struggles to traverse the hub on her crutches, an allegory for her generation in which young women of her generation struggle to find their identity between the roles expected and those desired. 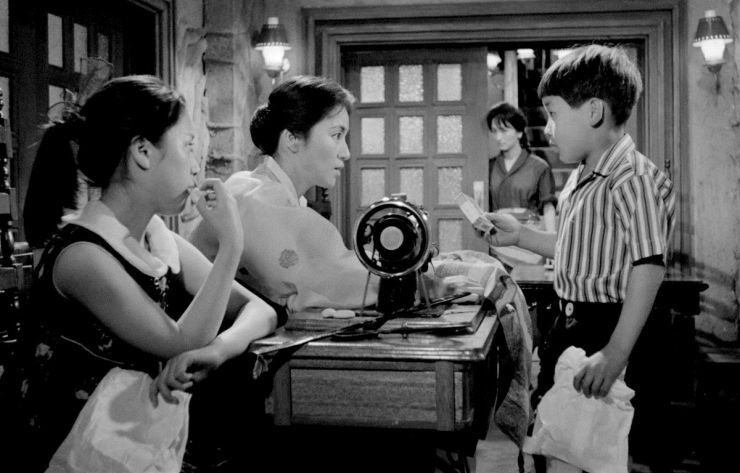 The Housemaid (하녀) is a landmark piece of filmmaking, one that captures the considerable array of socio-cultural anxieties of the era through the protagonists and mise-en-scene with incredible sophistication years ahead of its time. The narrative is timeless and enthralling in depicting the breakdown of family through betrayal, while the gender politics and debates within are captivating. Such recognition is not stated in terms of national cinema, but as a classic on the global stage as The Housemaid deserves acknowledgment on an international scale as an incredibly significant contribution to world cinema.